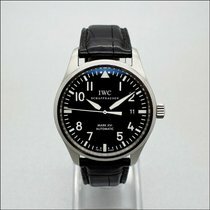 IWC Pilot's Mark XVI Ref: IW3255-01. 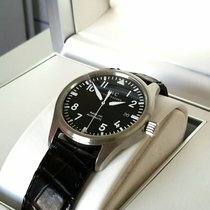 Steel 39mm case which is water resistant to 60 meters. 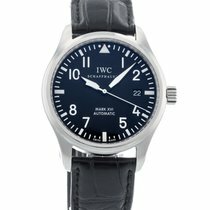 Automatic 30110 caliber movement, 42 hour power reserve, 21 jewels. 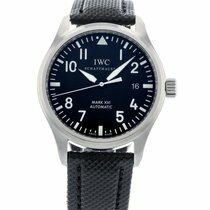 Black dial with white numeral hour markers and track minute markers, luminous quarter markers and hands, date display at the three position. 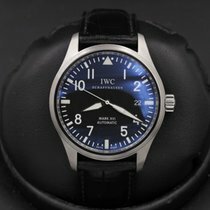 Black leather strap with steel pin buckle. Box and watch only.